Note to self: trying to do the new book release in the same month that you’re doing final revisions on another book means twice the crazy. Add in a sick boy (finally feeling better), car trouble, daughter’s soccer season, and a host of other random encounters, and the crazy has jumped exponentially. I did not need extra crazy. I have plenty already, thank you. I’ll be spending today trying to box up extra crazy and return it to sender. 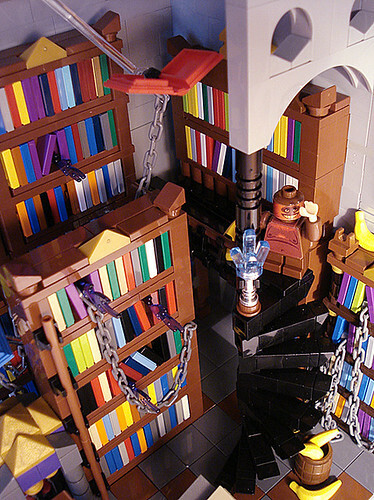 In the meantime, check out one of the coolest LEGO Flickr sets ever, courtesy of captainsmog: the Unseen University Library and other Discworld characters & images, all recreated in LEGO. You know you want to click and see the full set.